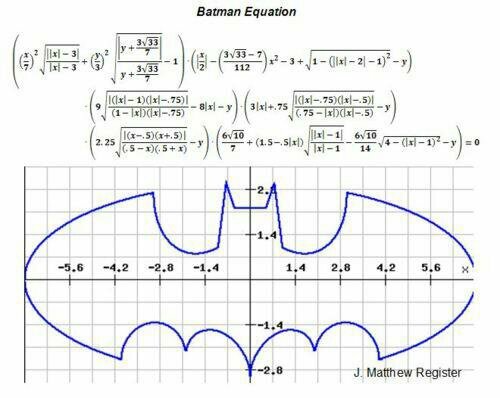 From prior reading it was recalled that there existed a “Batman Equation” which would generate the batman logo on a plot. 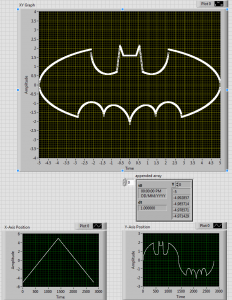 As the batman equation is a parametric equation we needed to resolve value pairs of x and y and given the shape or the logo it was thought that solving for values of y for terms of x would be much easier than the other way around. With further research it was found that piecewise equations for each section already existed and could be adapted for use within LabVIEW. 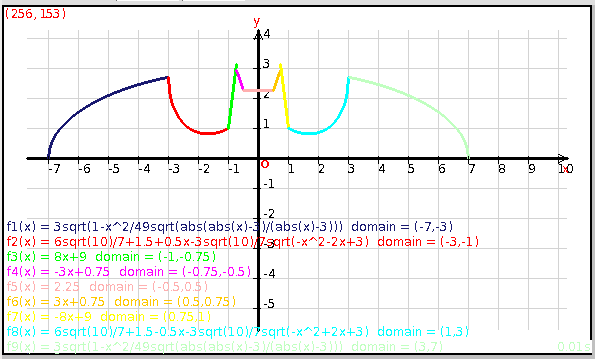 The piecewise equations located online were adapted from “Mathmom”  as per the below image. 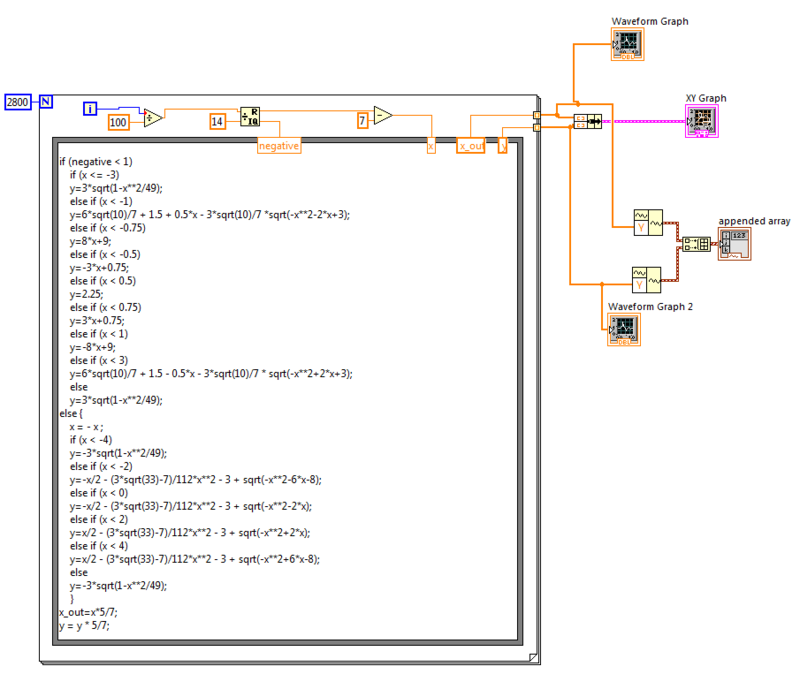 Within LabVIEW, these piecewise equations were implemented within a formula node to start with x at its lowest vale and increment x to solve for all positive y values before beginning to decrement x and solve for the corresponding negative y values thus completing the loop. 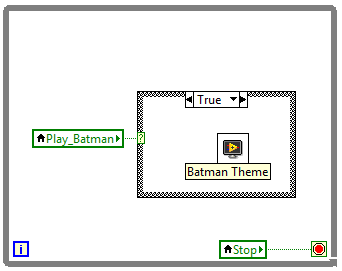 The code used to calculate these values can be seen below on the left which was used as a SubVI in the main program as shown below on the right. With these blocks in use the SubVI’s data can be seen on the below left and the output to the oscilloscope can be seen on the right. 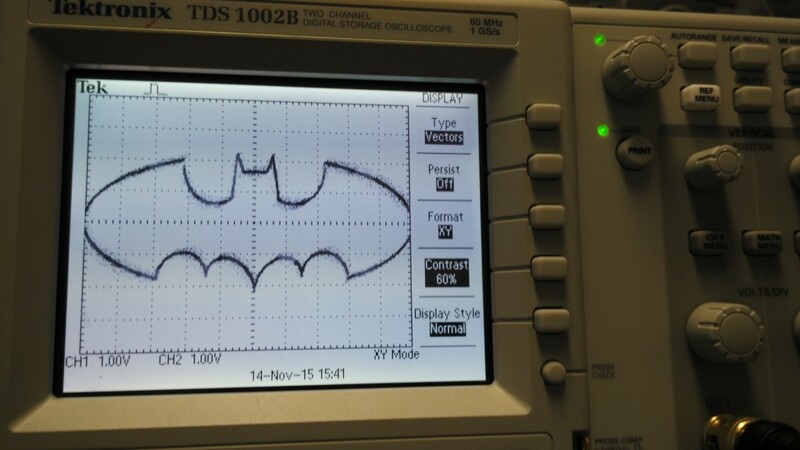 As an added extra the batman theme song is played on a positive trigger of changing to the batman tab on the main control screen. This is handled by a parallel loop containing another SubVI which plays the relevent .wav file. This VI is an almost exact copy of the National Instruments example file with only the .wav file file name being changed.